Clean and sanitize with a Haan steam mop. If you would like a floor cleaning method that is friendly to the environment, does not use harsh chemicals and leaves your floors clean and sanitized, a Haan steam mop may be just the product for you. The Haan product line includes four different models. The FS-20 Steam Cleaning Floor Sanitizer was the first of the Haan floor steam sanitizers. This model features a telescopic locking handle and a non-slip ergonomic grip. 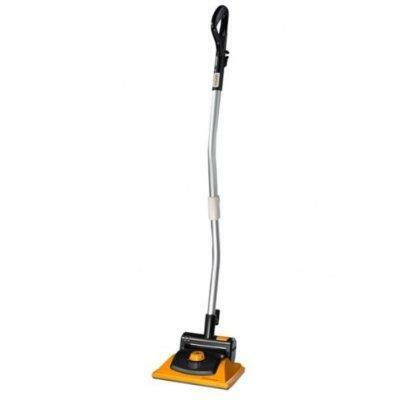 The SI-35 Slim & Light Series Floor Cleaning Sanitizer has a slim design and low steam head, making this steam mop perfect for reaching under cabinets furniture and appliances. The FS-30 Steam Cleaning Floor Sanitizer features an ergonomic design with a handle that pivots to reach under furniture, appliances and cabinets. The Haan Corporation also manufacturers several other steam cleaning products. There are many benefits to using a steam mop for cleaning floors. A green way to clean, steam cleaning uses only water to kill germs and bacteria on contact. This natural cleaning method eliminates the need for harsh chemicals. Many household cleaning products contain chemicals that are harmful to people, pets and the environment. Although a floor cleaned with chemicals looks clean, often a toxic residue is left on the clean surface. Cleaning with steam loosens deep down dirt and grime. Steam kills germs, dust mites and bacteria including e-coli, salmonella and listeria. Cleaning with steam is cost effective. Steam does not stain clothing. Using a Haan steam mop naturally cleans and sanitizes your floors. It eliminates the need for chemical cleaners, resulting in a healthier home environment. A Haan steam floor sanitizer is perfect for everyday cleaning or your deep cleaning needs.